Is this yours? Was is answered? Alexander Henry's pinup fabric called The Pursuit of Happiness. This fabric has pinups marching in a parade, with their fife and drums. I'd love to purchase 3 yards so I can make place mats and runner for my son. I run a non profit and make pillows and blankets for humans and animals. I am always looking for sewers who would like to donate their talents toward our cause. Have some extra fabric? We would love have the help for our cause. I need 10" square layer cake solids of Tula Pink for Free Spirit fabrics. Solid colors only. Hi, I'm trying to find Andover Fabrics pattern 3961 Alpha Buddies. I would need it to be sent to Australia, does any one know where I can find it still? Thank you! Hunting for any Santa/Christmas panels and fabric by Sharon Reynolds of Tenderberry Stitches. Thanks for any help! I am looking for a Kaufman print of playing cards fabric D# 4980. The print is small scattered playing cards on a black background. Any amount, a yard would be great! Also a Shamash and Sons playing cards with red dice fabric, I am interested in! I would like a cotton Yellow firetruck fabric-I need a yard. Firetruck itself needs to be yellow=for a special lil boy, Thanks. michael miller thats it dot In doft white with black dots. Need approx 4/5 yds of soft white that’s it dot with black dots to make valances for toddler nursery at church. Ta Dot is too closrly spaced. Thsnk yiu. White background, blue and green alligators or crocodiles (don't know which the are supposed to be). Looking for up to 5 yards of Banana Leaf pattern; Tradewind Tropicals by Hoffman International Fabrics to reupholster a bamboo couch. Thank you! I believe its a Riley Blake design, but not 100%. Its a pink/salmon color cotton, with the outline of drafted pattern pieces all over... like a blueprint of a sewing pattern. the outline is in white. i don't know what it's called...bought in May 2016 I only need one yard--the picture may look brown but the colors are more orangey and purpley. Thanks for any leads! hoffman international fabrics screen print kaleidoscope #20000. multi color marbles design. older fabric but am hoping someone has it. Holly Jolly Christmas, Deco Cups, Robert Kaufman (probably from 2013 or 2014), light blue background with asst decorated cupsandsaucers. I need this fabric for a quilt I want to make. I bought blue not grey background, it won’t work. Please! Any Phantom of the opera fabric you have is something I am interested in seeing. It just depends,on how much and if it will go with my stash. panel with vintage bicycles in squares. Looking for Navy Blue fabric with small(er) hearts (must be separated) OR cherries (can be on connected stems, but not bunched). Used for Raggedy Anne's Clothing. Cherries and Hearts must be REAL red. 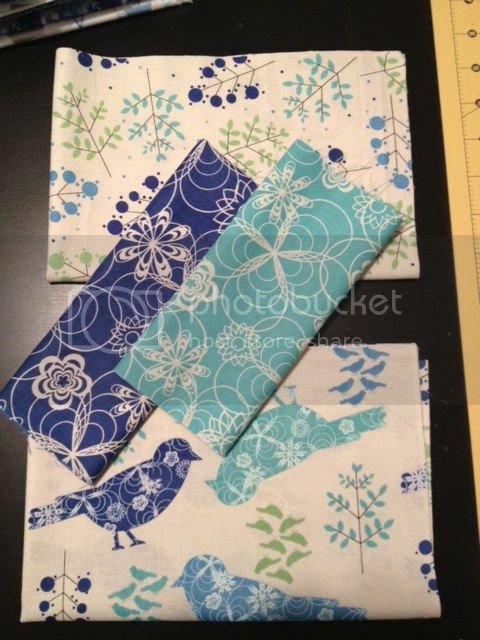 I have the parasol print, need more of the china doll fabric. Needed: Four Seasons by Jinny Beyer 2006 RJR Fabrics. Please contact me if you have any amount you are willing to part with. Thanks. Looking for Joan Kessler Concord fabric #4337. I am making the Star and Chain quilt from the Blue Skies book by Lynnette Jensen/Thimbleberries. I need the cream on cream leaf print design as I made the quilt larger than called for and don't have enough of the fabric to finish. Need 2 yards. I need 2 yards of Moda Minick & Simpson American Banner Rose fabric. Fabric number is 14724 13. It is a cream background with small flowers. Darlene Zimmerman by Robert Kaufman. White background with red flowers. Looking for one yard. Hi I'm looking for Henry Alexander's fabric. Coyote Choir Christmas. Please let me know if you have it available. I need 2 1/2 to 3 yards of Wilmington Prints (by Jennifer Pugh) Tidepools collection, #82437-421. It is a border/striped print blue and sand color, seashell theme. I am looking for Alexander Henry's fabric called "18 Wheeler" which has pictures of a green/cream Kenworth pulling a box trailer and there is a picture of a tanker trailer pulled by a red truck etc. Thank you! I am looking for 1/4 yard or several fat quarters of Michael Miller Garden Trellis in the Sunset color (light orange/dark yellow field with white trellis). It has been OOP for many years - trying to complete a matching quilt for my daughter. I need this fabric. I have ordered it from you in the green camo, but I need it in the color below. ISO Alexander Henry's out of print camoflauge girls with black background with chrome/gray girls. Also known, as Pin up chrome camo girls. Wanted quilt fabric picturing vintage pickup trucks. No cartoons, please -- real truck pictures. Also not cars or construction vehicles or travel trailers. Thanks so much. Need Fabric Traditions Fabric--#5426 --1996--I need 4 inch squares with Bible verses ( Beatitudes) words on the squares. Either color-blue or teal.Would like as much as I can get, thank you ! Anna Maria Horner Social Climber by the garden collection in any colorway. Roses in yellow and orange on a teal background. I am looking for a yard or 2 of a solid neon pink cotton fabric. Riley Blake or Michael Miller have made them recently. Thanks! Been searching for Robert Kaufman The Sweet Shop Pink Choco Chip Fabric. Looking for at least 3 yards to complete my 50s dress but will take anything available. Hello, I am wondering if anyone has Michael Millers Chinese kids available that they would like to sell? I do not know the print name / number. The only things I know for sure is that it IS a Hoffamn International fabric, and that it is anywhere from 21-30 years old. The background is a dark cream, the leaves are burgundy, gold, blue, and green. Last remaining piece in my stash! fleece fabric with a track and field theme with hurdles, high jump, long jump, shot put, and/or a running track. Planning to make a blanket. I am looking for Wizard of Oz panel 23x44 it is one of 6 for a story quilt. The last one is called There's No Place Like Home. Made by Quilting Treasures. I have the other 5 panels and am in need of this one so I can start the Quilt for my Daughter. I need 1.5 yards of the Tidepools multi-stripe border fabric (82437-421), designed by Jennifer Pugh and manufactured by Wilmington Prints. I am in search of Miss Piggy or Muppets fabric, but not the baby muppets. Need 3-5 yards of discontinued Richloom Marvelous-Bronze. Part of a collection of fabric which includes a panel, I am looking for the fabric with the yellowish beige background with red and brown dog items such as collars, dog dishes, etc. printed all over the fabric. I have the panel. From Northcott Fabrics Stonehedge Land of the Free collection, It has a large American flag flying on a navy background with lots of exploding fire works panel. I am looking for 3 pieces of fabric from the Benartex Floral Fancies line. I need 1 1/8 of the brown or black brown floral stripe; 5/8 yard of the orange background with gold leaves and I need 3/4 yard of the turquoise print (tone on tone). I am looking for Feather and Song by Maggie Walker for Timeless Treasures.I would like the bright colors, not the browns. Looking for any yardage of 2010 VIP Cranston Village from Cranston Print Works. Yellow gingham check - 1/8 inch If you have any,or know of a source, please email me! Thank you! About 6 years ago Jo-Ann Fabrics carried a Debbie Mumm strawberry print fabric - medium green background with strawberries, dragonflies and birds. Can't find anywhere. Is anyone able to help? My son drives for Schneider Trucking Co. I want to make him a quilt to take in his truck. I can't find any semi trucks in fabric. May be I could piece one, but am not too sure about that. HELP! Released by Joann Fabrics 2006-2008. Bright red FLEECE fabric with Lucky Charms Leprechaun Image in green and black standing in front of a colorful Rainbow. From Lucky Charms Cereal Box. Looking for yardage or minimum of at least one. Thank You. Looking for one of two southwest patterns used by Sunbrella between about 1994 and 1999. They were used on Silverton Yachts during this time frame. I need at least two yards to replace three window panels. I will buy more though. Used in the Judy Niemeyer pattern, Sand Devils about 5 years ago. Need 2 yard of either color way. Thank you. Need Mickey Mouse clubhouse fabric please!! Whatever is available !!! Fabric from Connecting threads Canning Day collection including aqua garden trellis, apricot summertime, apricot tablecloth, and summertime butter or a Garden Flowers Quilt kit which contains these fabrics. Am looking for 100% cotton Lilo and Stitch Disney fabric. Its been out of print for a few years. Am hoping someone has it in their stash. Wanted 3 yards or more of Quilting Treasures Holiday Dazzle Cardinal Bird with the wine (or reddish) background--not the one with black background. Blue Fons&Porter fabric from mid 90's. It has blue background with cream feathers in a curve that are connected with cream dots. Need 2 strips wof by 4" or pieces to equal that. ISO 3-4 yards of the adorable Michael Miller pink elephants on parade fabric (grey background with polka dots and silly elephants guzzling drinks). Thanks and Happy Holidays to all. I am looking for Michael Millers China Doll umbrella print. This print has umbrellas/parasols in various colors. Thanks! I am looking for 2-1/2 yards of I love Lucy fleece.pattern not as important as quality of fleece. Help! Need to identify this fabric in order to find and buy more. Bought a few years ago...started a quilt...don't have enough to finish. DESPERATE for Robert Kaufman's 2007 Stargazers screenprint #7561-205. 2nd number is the code for Multi: Blues, dark green, dark red, gold & metallic gold. The fabric is covered in 2 alternating medallions. I'm begging! Need 2 yds!!! i am looking for i love lucy fabric panel in yellow blue and pink of the chocolate fabric thats on this website. i want to make kitchen curtains for my daughter who just got married. i hope you can help me find it! Looking for the border fabric from the fabric line "All Abuzz" by Kim Schaefer. I only need 1/2 yard. Selvage edge hows that it is Pattern#3933. Thanks!! I am looking for at least fat quarters of the following from the Tweet Tweet line by Keiki: Tweets (Birds) in Sky Tweets (Birds) in Cloud Circles in Cloud Circles in Cherry Dots in Cherry Thanks! I am seeking any yardage of this fabric. Willing to pay a premium price! Thanks so much! Does anyone know where to find Laurel Burch fabrics? Bright, colorful, fanciful, cats, mermaids, horses, etc. Thanks! Looking for at least a yard if not more of the geometric design fabric from this pallet. Prefer the cream color but will take any at this point. Black background with pink, yellow,orange, white and green macaws. I think it may be outdoor fabric. Wanted Rare and Oop Fabrics? This is a red accent fabric for Holiday Happy Trails pattern. I am looking for 3 yards. Seeking Plaid Light Pink Beatrix Potter Cotton! I am seeking a lighter pink Beatrix Potter cotton quilting fabric. It was purchased in 2012. It was called Garden Trellis and is a lighter pink - darker pink is still available. THX! i am looking for the kissy lips put out by Timeless Treasures. It is no out of print and I want it for my Betty Boop quilt. Black material with gold squarish geometric designs spaced fairly far apart. This materials was in their 2010-2011 line. Hi - My email is about "Chintz Medallion" byQuilting Treasures made around 1810. My question is how do I get it from France to make the Karen Styles quilt show in Quiltmania N? 100. I really want to have this fabric. Thanks. Abstract and modern style animals. Alphabet letters vertically down sides. Colors are offbeat..lavender, reds, greens. Etsy shops FabricFascination & Undercover Quilts both had the fabric, but both Sold. Please HELP me find this fabric...THANK U! Looking for 3 yrds or more of alexander henry rhinestone cowboy in red or black. I'm looking for Jungle Jamboree fabric, at least 1/4 yd. The selvage says copyright is by Robert Kaufman Co. Inc, screen print D#2847. Allover bright clear colors (red, yellow, blue, green, purple, some white and black) with jungle theme. ISO Northcott State Birds "Nature's Backgrounds"
I am searching for any length of Northcott Suzan Ellis State Birds fabric series "Nature's Backgrounds" and "Nature's Backgrounds -1"
Quilted Treasures, has the witch trying to steal the slippers and one of her melting, a few more smaller panels. Light Gray "Santa's Beard" Fabric needed! Need 5 Yrds of this Material. Cranston Village Vip Fabric 2005 item number (61779-Y) Dark Blue with Lighting Bolts through out the pattern. I am looking for 100% cotton fabric that look like wood paneling. Would like 4 different shades to make a wood panel puzzle quilt. I am look for the fabric collection called Snow People. It is brightly colored and was very popular. Thank you for your help. vtg VIP Joan Messmore floral fabric BY Cranston Print works Co.
looking for any quantity of red and/or purple "red hat ladies" fabric; cotton or quilt and need ASAP! This fabric is black with gold flecks through it with pink and lilac flowers and white birds (in flight) birds have long single feathers in white and burgundy for its tail. I am trying to make a golf course landscape quilt, and need this fabric, I have a few other grass fabrics that I have collected, but need this one bec ause it is short green grass such as a fairway would look.thank you !! I need 6 yds of Police Novelty fabric to make some curtains. Prefer cotton or cotton blends. Fabric can be cars, shields, dogs, etc. Looking for a solid steel grey laminated fabric so I can make a hooded jacket. Everything seems to be a loud print, hard to find a solid print. I am looking for a Disney print that has a light blue background and nursery rhymes all over. This fleece has a solid blue background (not plaid or check or clouds) and little Raggedy Ann and Andy pictures scattered over it in lighter blue blocks outlined with red. Raggedy Ann is in a wagon in some blocks. Trying to repair a quilt for my autistic son--He's very particular. The fabric has an aqua blue background with butterflies in navy/indigo, lime green, yellow, orange, and red. (No pink or purple.) 100% cotton.Thank you for your help! I'm looking for the rose coordinate from this line. If any one has some please let me know! I've had the hardest time finding it and its a favorite amongst my customers. I used this fabric for my children's range and cannot find it anywhere! Don't want the squared version or boys or pink. Main white version with large owls and elephants. Can anyone help? I'm in need of the print above mentioned. Pls see link fr actual sample. Wiling to pay a reasonable price or swap. Tks so much! I'm in need of the Robert Kaufman fabric: Cajun food in white. Thanks. Hope someone can help me, I am looking for matching flannel fabric in the Flower Fairies collection to back 2 quilts I am making for my grandaughters. One is the Sweet Garden Fairies Rose and the other is the Morning Flower Garden Fairies Apple. Looking for RJR Indigo fabric called "Ashbury" it is an asian looking flowery print cream on indigo. Hoping someone out there still has some in their "stash"! I am looking for 2+ yards of Moda, Sandy Gervais "Celebrate Spring" focal floral, #17251. this fabric is probably 2008 or 2009... Any help is appreciated! Am looking for 4-5 yds of a Nautica stripe fabric. The background is bright yellow with alternating wide navy stripes and thin navy stripes. The stripes run vertically. Any help would be greatly appreciated! Looking for at least 1/2 yard of "love in.". Orange with black doted lines. I'm looking for the cream with purple dots and flower bunches. Also the green with white dots and flower bunches. Looking for a yard of Judie Rothermel brown weave pattern from mid-90's. Think is from her Texture Line. need at least a yard. Looking for a yard of Judie Rothermel brown weave pattern Bought it in the mid-90's at Hancocks Paducah. Think it is from her Texture Line, but not sure. Need about a yard. Can send a picture if you think you have it. I am looking for clean and neatly cut Riley Blake Fly a Kite Ice Cream Fabric in the Cream background. I will pay up to 8.50 a yard for 2-4 yards. Thank you! I'm looking for wild turkey fabric by the yard or panel fabric wild turkey. I want to make a wall panel quilt and want a realistic looking wild turkey, hopefully a strutting Tom, jakes and hens. I've found some online but don't care for them. I am in desperate need of a 1/2 yard of light lavender in the RJR quilters cotton sateen, I will buy more if you have more. Looking for Alexander Henry ""Dark Angels"" fabric. It is a large scale pattern with skeletons riding motorcycles and lots of flames w/ black background. Please email me at mhera@telus.net if you have any for sale, stating price. Thank you! I am looking for 3-5 yards of Alexander Henry- Bird Seed Yellow. Looking for 1-2 yards of this pattern, it has words baseball written in cursive red letters.Blue pinstripes a bat, ball, glove,baseball, and helmets with a light cream background.Colors: browns,reds,tan,blue,some black. Printed in 2005. Please help ! Looking for Cranston Village Fabric print from 2006. Item number is 73891-F. Dark Hunter green with pinpoint metallic gold dots. Please help! flower effiel tower rose romantic on blue linen or red. I am looking for any amount of Michael Millers "Love Tattoo" fabric. Looking for: Kaleidoscope style #20001 screen print cotton fabric by Hoffman International. I need a minimum of 3 yds but would purchase 5 yds. It is bright multicolored stips of red, green, yellow, orange, and blue on a black background. I need a minimum of 2 and a maximum of 4.5 yards of Merry Main Street By Alexander Henry. I was only able to find 1 yard. Help is appreciated. Thank you. Hoffman International Fabrics "The Painted Desert"
Hello!! I am looking for the Aleander Henry Skullfinity black and white fabric...only a yard! Used to be the easiest print to find, all of a sudden it's gone! Hoping to make my boyfriend a tie for V-day....please help! THANKS! I bought this fabric about 4 years ago. It was a companion fabric for Nautica sheets. It is bright yellow with dark blue stripes. Need about 4 yards. Thank you for your help. Wanted: Joan Kessler for concord fabric "abigail"
I need as many yards of "Abigail" fabric by Joan Kessler for concord, Inc. I need it for the nursery of my daughter in may. Please let me know if anyone has any.... Thank you! I am looking for a fabric by Concord Fabric it has BLUE older Camaros and SS 427 and Z/28 on it. And the word Camaro in black with red surrounding it. I believe it is from the year 2000. I am looking for as many yards as I can at a reasonable price. Desperately need up to 8-10 yards of Robert Kaufman's Vive La France Eiffel Tower fabric. Will pay for shipping to Australia. This fabric was purchased at Joann's approx 2-3 years ago. They are a coordinating set. It also came in a purple/pink color them. I REALLY need this fabric. If you have any at all please contact me! Thanks! Looking for Andover Fabrics Painted Posies Fabric by Erin Kennedy - the Black dots Pattern number 4037. Thanks! Peppermint and Hollyberries designed by Nancy Halvorsen for Benartex. Panel includes 3 stockings: Elf, Santa, Snowman. Discontinued. Hi, I am desperately looking for "Making Tracks" by Debbie Fields..Cream color fabric..the design has small brown log cabins, one green tree on each side of the cabin and bear tracks. Please help!!! Thank you! I am looking for the 40 Fat Quarter Set of Michael Miller's Mirror Ball Dot. Used the last of my existing set on a quilt and would love to make another. Desperate need as little or as much as I can get. Pay any price! I am looking for a "Tonal Blender in Lilac" by VIP. Needed for a quilt back so I will need about 9-10 yards as I believe it is 45 inches wide. Please help. i am looking for kimberly polosons forget me not Robert Kaufman fabric which has dress forms on it. I am looking for the 1st editions of this fabric about 3-5 yrs old which has the dress forms in pink or soft blue, dark red or white. 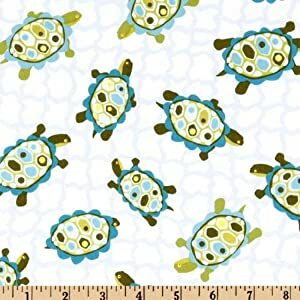 Hello All, I really need a yard or more of the blue turtle fabric by Wendy Slotboom for In the Beginning fabrics, as part of the Lily Pond collection from 2009. I will pay more than what you paid for it! I am in dire need of the Windham #30060-X Buffalo Bill Wild West quilt panel. I'm looking for the teal/red/ yellow fabric the pillows and curtains are made from on the TV show "Bachelor Pad" Thanks! Looking for one yard each of Carla Miller's Chicken Scratch in pink CM05PK and in black CM05BK. Your help is so greatly appreciated.